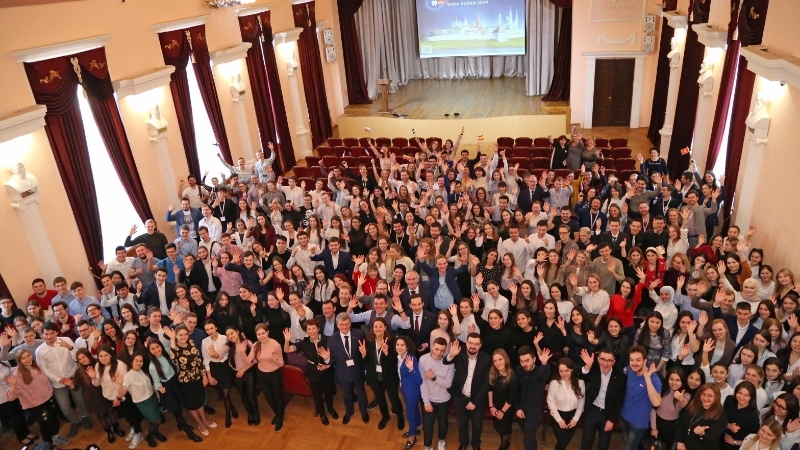 European Dental Students’ Association (EDSA) was founded in 1988 and currently represents more than 65,000 dental students from 182 dental faculties of 28 countries of Europe. Twice a year, all delegates come together to brainstorm and improve new and existing projects. Besides, EDSA representatives discuss dental policy, social and everyday issues at the annual General Assemblies. World Immunization Week, which is celebrated every year in the last week of April, aims to promote the use of vaccines to protect people from disease at all ages. Immunization saves millions of lives each year and is widely recognized as one of the most successful and cost-effective health interventions in the world. However, around 20 million children worldwide have not been vaccinated at all or are under-vaccinated today. Flash mob to healthy lifestyle promotion took place on Kaban lake quay on April, 24. TR Health Ministry reports: as of 11:00 a.m.5 people injured in a fire in Nizhnekamsk, stay in RCH of TR HM. 3 of them are in the intensive care unit in a serious condition, 2 people are in the burn unit. 2 residents of the Republic of Bashkortostan were sent to Ufa yesterday. 5 victims are in Nizhnekamsky CRH. The state of all patients is moderate severity with positive dynamics. One person stays in Emergency Hospital of Naberezhnye Chelny.